The Alternative Comedy Trio is a compilation of three of the most established, exciting, leftfield comedians in the country. 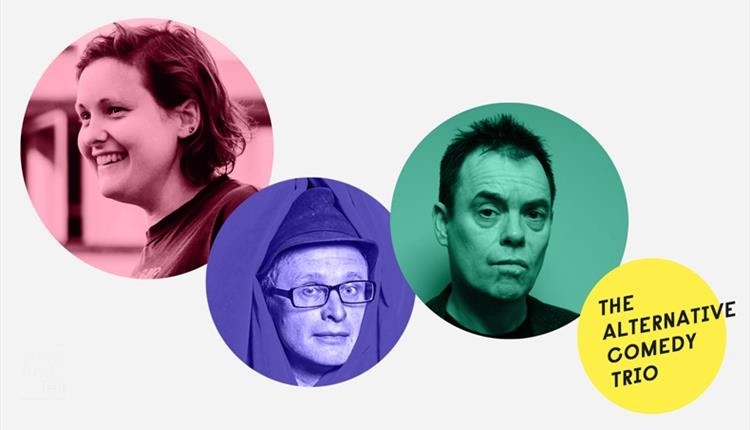 All three – Kevin Eldon, Josie Long and Simon Munnery – are star names in their own right, and this summer they take to the road on tour together. 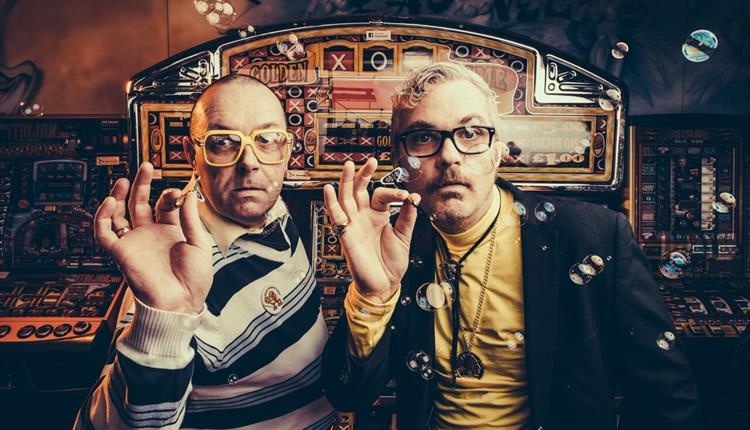 Kevin Eldon is the star of BBC2’s It’s Kevin and Radio 4’s Kevin Eldon Will See You Now and has delivered stand-out performances in nearly every major British comedy television series of the last twenty years. Josie Long is a triple Edinburgh Comedy Award nominee, a star of several Radio 4 series, a Guardian columnist and a pioneering, comic force for optimism and social change. Simon Munnery is a multi award-winning, serial innovator and perennial figurehead of innovation in comedy over the last thirty years. He’s a star of numerous Radio 4 series, a true comedians’ comedian and has toured stages all over the world. Step up to the oche and hit the bullseye! Substance & Shadow Theatre return to the Wardrobe Theatre this June with a new original work: Silver & Gould, taking audiences back to the decade where Sunday tea times just weren’t the same without a ‘bit of Bully’. This fast-paced comedy follows the fortunes of mismatched cousins, Leonard ‘Len’ Silver and Melvyn Gould, who are reunited after the sudden death of Len’s mum. Left out of his mother’s will and living in the back of his car; Len finds that desperate times call for desperate measures. Over a game of arrows at the wake, Len realises Melvyn is something of a ‘hot shot’ and hatches a plan to get them on classic TV show, Bullseye. Fame and fortune could be Len’s if he can convince Melvyn to take him on the show as the brains of the operation, but Melvyn has plans of his own for wooing Shirley, the local barmaid. Television were one of the most innovative bands to emerge from New York’s underground scene of the mid-70s, creating an influential new guitar vocabulary. Guitarists Tom Verlaine and Richard Lloyd didn’t quite follow the accepted rock structures for improvisation – they removed the blues while retaining the raw energy of garage rock, adding complex, lyrical solo lines that recalled both jazz and rock. With its angular rhythms and fluid leads, Television’s music always went in unconventional directions, laying the groundwork for many of the guitar-based post-punk pop groups of the late ’70s and ’80s. The Bristol Shakespeare Festival running since 2004 is passionate about bringing the freshest, most exciting productions of Shakespeare’s plays to some of Bristol’s most beautiful and unusual spaces every summer during the month of July. In previous years the very best national touring companies, including The Lord Chamberlain’s Men and Shakespeare’s Globe, have taken part alongside other exceptional companies, schools, youth groups, special educational needs and disability arts groups. Three daughters are asked to compete for the wealth of their father, a King made weary by age and on the edge of breakdown. Defeated by his own arrogance and baffled by his daughters’ inflated praise, Lear’s sanity begins to slide until he is left in a mental wilderness accompanied only by his faithful fool. In this powerful examination of inter-generational conflict, Lear’s position of authority as both a ruler and a father disintegrates as his mind betrays him. 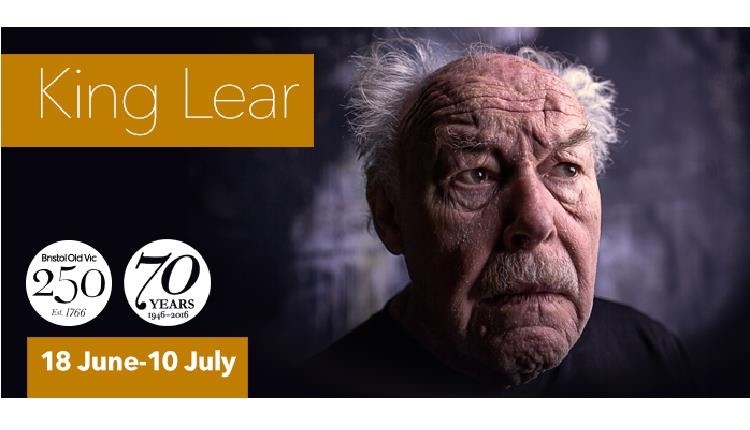 British theatre legend Timothy West plays Lear in Tom Morris’ production of Shakespeare’s great tragedy with Stephanie Cole (Open All Hours) and David Hargreaves (The Crucible) alongside the stars of tomorrow from Bristol Old Vic Theatre School. 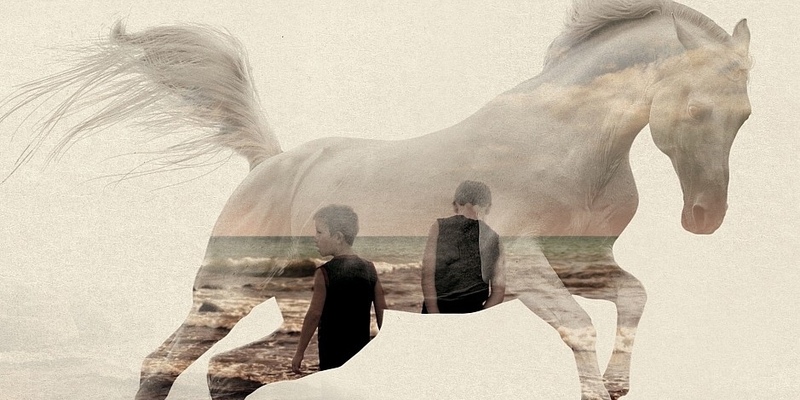 This production marks the 400th anniversary of Shakespeare’s death and celebrates Bristol Old Vic’s 250th anniversary and the Theatre School’s 70th anniversary. ‘What would a city without artists look like?’. This discussion event on the closing weekend of Artspace’s 40th anniversary exhibition addresses the future of studio provision in Britain. To celebrate Artspace’s 40th anniversary, Spike Island presents an archival display, film and discussion event. Artspace was founded in the mid-1970s by a group of painters, sculptors and printmakers who sought out and administered affordable studio spaces for artists in Bristol. Working co-operatively, the collective was able to reduce costs by sharing space and equipment, and securing discounts through bulk purchasing art materials. 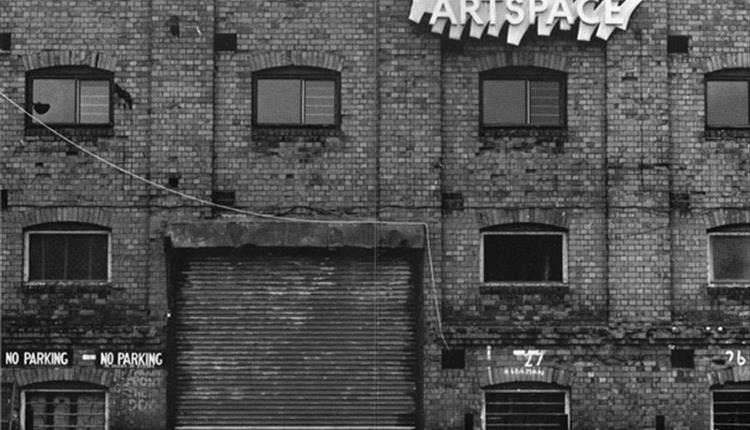 2016 marks the 40th anniversary of the initial lease of Artspace’s first home, the McArthur’s Warehouse on the Harbourside. 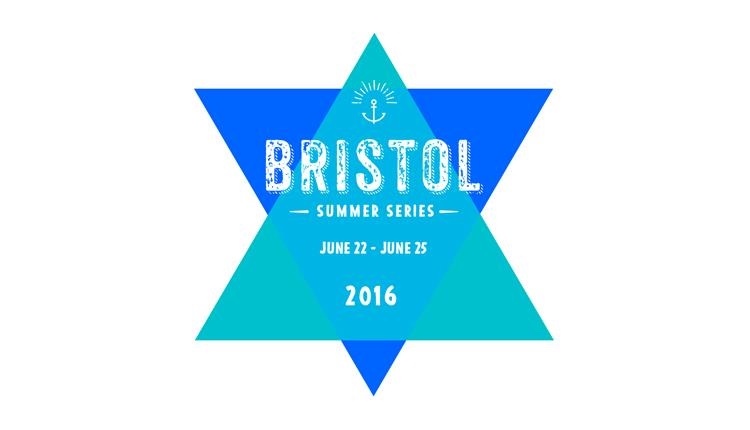 Bristol Summer Series will return to Bristol’s Harbourside from 22nd to 25th June 2016 with a series of concerts headlined by James Bay, Sigur Rós, The Last Shadow Puppets and Catfish and the Bottlemen. The concert series will get underway on Wednesday 22nd June with 2016 British Solo Male Artist BRIT Award winner James Bay who will be followed the next night by the Icelandic post-rock band Sigur Rós. With an ethereal set this will be their return to Bristol after nine years. The Last Shadow Puppets, featuring Miles Kane (The Rascals) and Alex Turner (Arctic Monkeys) will be heard across the amphitheatre on midsummer’s eve, Friday 24th June. This will be their first show in Bristol and one of very few in the UK this year, following the release of their upcoming new album Everything You’ve Come to Expect in April. Catfish and the Bottlemen, 2016 British Breakthrough Act BRIT Award winners, will play on Saturday 25th June. The four concerts will see over 20,000 fans enjoying live sets on a spectacular stage on Bristol’s Harbourside. Last year’s Summer Series saw George Ezra and the Kaiser Chiefs playing to sold-out crowds of 5,000 on Wednesday and Thursday, while more than 4,000 people turned out to see blues guitarist Seasick Steve. James Bay will be supported by JOSEPH, a group of three sisters from the Pacific Northwest who are quickly gaining a reputation as a force of nature with their pastoral acoustic music and three-part harmonies. James Canty will support Sigur Rós and Ivor Novello and Brit award winning rock star Gaz Coombes will support The Last Shadow Puppets. Ticket options include a VIP experience with access to an exclusive viewing platform, VIP bar area and dining packages with local restaurants. 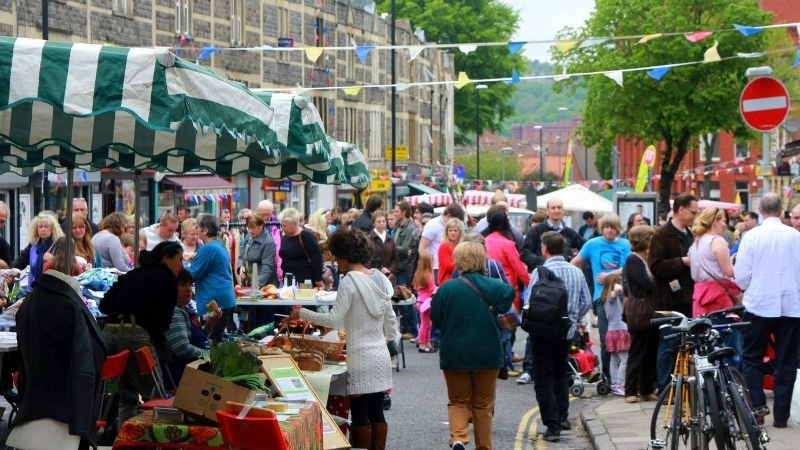 North Street fair has become a fixture on the South Bristol calendar. Over 40 stalls, music, dancing, great food, face painting,mini fairground ride and a chance to browse the independent shops in the street make this a fantastic day for all ages. The mighty Bristol Comedy Garden returns this June with yet another quality crop of comedians and once again Queen Square, in the heart of the city, will be transformed into a comedy wonderland complete with legendary line-ups in the Big Top and Apple Top venues. The fifth edition of the Comedy Garden is set to be the best yet with a line-up that includes names such as Stewart Lee, Katherine Ryan, Reginald D Hunter, Al Murray, Adam Buxton, Rob Delaney, Sara Pascoe, and Jason Byrne. The South West’s brightest comedy festival will be bursting with bars, live music, gourmet street food and lots more. Get your tickets now and arrive early to make the most of this year’s blooming brilliant Bristol Comedy Garden! Tagged 2016, bedminister, bristol, bristol music, bristol old vic, catfish and the Battlement, colston hall, comedy, comedy garden, Festival, glastonbury, Hanson rooms, into the west, james bay, july, Kevin Mcgough, king lea, king lear, last shadow puppets, marquee moon, music, Must see Monday, north street fair, old vic, Shakespeare at the Tobacco Factory, shakespeare festival, sigh ros, spike island, summer series, television, theatre, tobacco factory, wardrobe theatre, whats on. Bookmark the permalink.